To check and monitor all household/building wiring, overhead/underground powerlines,and all electrical appliances, such as bedside clock radios, laundry machines, computers, TV’s and lighting. Sensitive and informative, with digital display and sounder, it allows you to check electromagnetic radiation from the delivery and use of electricity around you. Click on the imagefor more! 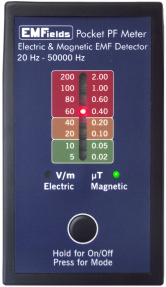 Like its popular sister ELF-3030B, it has a digital display and sounder, and allows you to check electromagnetic radiation from the delivery and use of electricity around you. 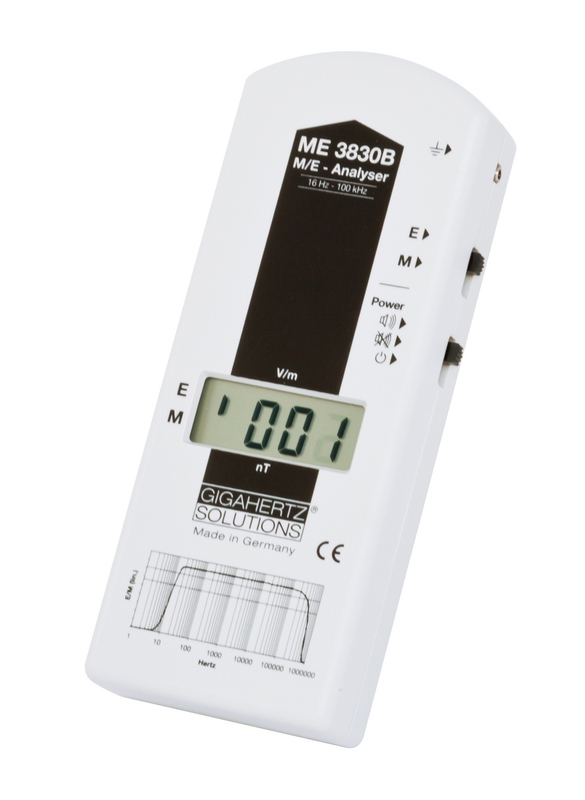 The 3830 has an extended frequency range which means it detects related harmonics, along with the higher frequencies created by energy-saving lamps, dimmer switches, etc. It is approved for building biology use too.